Everyday gun violence is a problem facing communities across the United States—and Washington state is no exception. Each year, children die in unintentional shootings at home; youth take their own lives or others’ with firearms; and hundreds of guns are stolen, leading to more crime. Guns that are not securely stored in the home by gun owners increase the possibility of these tragedies occurring. These efforts have been vital in helping make Washington’s communities more secure. The state received a “B” grade and ranked 10th strongest overall in the Giffords Law Center to Prevent Gun Violence’s most recent annual review of state-level gun laws in the United States.3 Yet while Washington is an exemplary model of both elected officials and local advocates working to address gun violence in their communities, gaps remain in the state’s laws. One area in need of urgent attention by policymakers in the state concerns the risks of unsecured guns in the home and the need to ensure that gun owners are storing guns safely. While much of the national conversation around gun violence focuses on public displays of that violence—such as mass shootings in public locations—the reality is that a substantial portion of gun violence in the United States has roots in the home. When guns in the home are not safely stored to help prevent unauthorized access, they can quickly become an instrument of tragedy. Safe storage legislation mandating that firearms be locked when not in use, coupled with dangerous access prevention laws that hold gun owners accountable if their unsecure firearm is accessed by an unauthorized user such as a child, help prevent these tragedies. 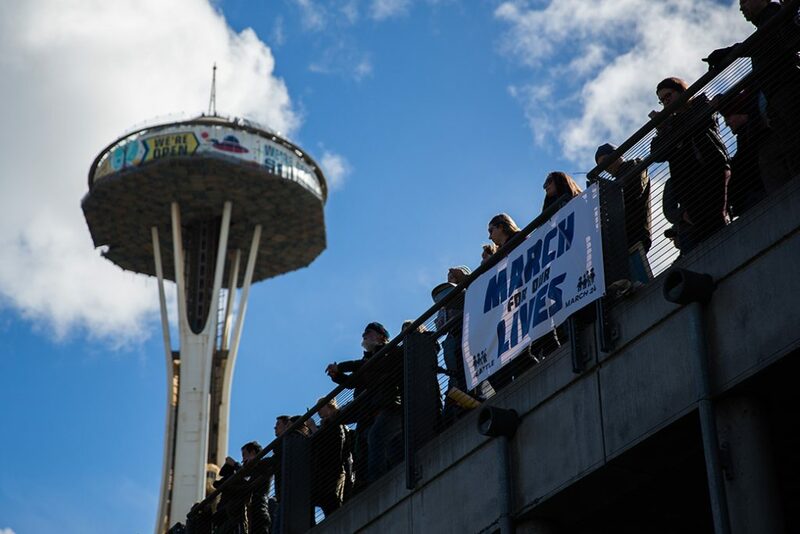 Lawmakers in Seattle have already recognized the need for this legislation, passing safe storage regulations in the city earlier this summer.4 Implementing these laws throughout the state has the potential to increase safety in communities across Washington state and, as a result, save lives. As private gun ownership has proliferated in the United States, so has the number of children who live in homes with firearms. Unfortunately, many of those guns are not stored in a secure manner. A team of researchers from Harvard University, Columbia University, and Northeastern University found that roughly 4.6 million children ages 17 and younger live in a home with at least one unlocked and loaded gun.5 Such lax storage methods increase the opportunity for children to find, play with, or use these dangerous weapons without their parent’s or guardian’s knowledge, often with tragic results. Nationally, roughly 89 percent of fatal unintentional shootings involving children occur at home.6 From 2002 through 2016, 1,723 children under age 18 in the United States died from an unintentional firearm injury; 18 of those children died in Washington.7 On July 21, 2013, for example, 4-year old Dwayne Kerrigan fatally shot himself in the head while playing with a handgun at home in Sedro-Woolley, Washington.8 In August 2018, a 14-year-old boy was killed at home in Burien, Washington, after being shot in the head while playing with a handgun with a 16-year-old friend.9 Using a secure storage mechanism, such as a gun lock or gun safe, could prevent tragedies like these from occurring. Unsecured guns also create risks for gun violence outside the home. A study by the U.S. Department of Education and the Secret Service reviewing school shootings found that 65 percent of the firearms used in those incidents came from the shooter’s home.18 For example, Moses Lake, Washington, was rocked on February 2, 1996, when 14-year-old Barry Loukaitis opened fire in his algebra class, killing two students and a teacher before being tackled and overpowered by another teacher.19 The morning of the shooting, Loukaitis reached into the unlocked gun cabinet in his house and took his father’s hunting rifle, a handgun, and ammunition with him to school.20 In another instance, on October 24, 2014, Jaylen Fryberg used his father’s handgun to methodically shoot five of his friends at a school cafeteria table in Marysville, killing four, before taking his own life with the gun.21 Locking guns at home would make it more difficult for a child seeking to commit a heinous crime to access a lethal weapon—and would prevent similar tragedies from happening in the future. There are a few common-sense measures that states such as Washington can enact to help reduce the risks of unsecured guns. First, gun owners should be required to secure their firearms with gun locks or store them in a safe when they are not being used. Using these simple safety mechanisms has been proven to help reduce unintentional shooting deaths. The U.S. General Accounting Office published a report in 1991 that found that from 1988 to 1989, 31 percent of unintentional gun deaths would have been preventable if a loading indicator device and safety lock had been used.30 Furthermore, the Journal of the American Medical Association published a study in 2005 stating that securely storing guns and bullets could help reduce the risk of self-inflicted gun-related injuries at home.31 Locking up a firearm also makes it harder to steal, thus helping protect the gun owner from being a victim of a crime and reducing the risk of the gun being trafficked or used in criminal activity by an unauthorized user. Safe storage laws and dangerous access prevention legislation help keep communities safe from gun violence. Several states, including Massachusetts, California, Connecticut, and New York, have successfully passed this kind of legislation to address gun violence.34 States without secure storage laws are abdicating their duty to establish norms around responsible gun ownership. Without these laws, Washington homes and communities are vulnerable to unintentional shootings and gun theft. Filling the gap in Washington state’s legislation by passing and implementing secure storage laws will prevent tragedies and save lives. Chelsea Parsons is the vice president of Gun Violence Prevention at the Center for American Progress. Rukmani Bhatia is the policy analyst for Gun Violence Prevention at the Center.